Meijer has released a new coupon where you can get a free Hot Wheels Car! Log into your MPerks account TODAY and clip your coupon or use coupon code hotwheels15 to get your freebie. Expires 12/17. … [Read more...] about Free Hot Wheels Car At Meijer Coupon! Remember that $1/2 7-Up TEN, A&W TEN, Canada Dry TEN, RC TEN, Squirt TEN or Sunkist TEN coupon that came out this morning? 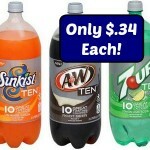 CVS has 7-Up, A&W, Canada Dry and Sunkist 2-liters on sale for $.99 each through 10/17. If your store carries the TEN varieties, you can do this deal:Buy 2 7-Up, … [Read more...] about 7-Up TEN, A&W TEN, Canada Dry TEN Or Sunkist TEN Only $.34 Each At CVS! 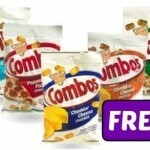 New Combos Bags Coupon Means Free Combos Snacks At Meijer! The $2/2 Combos Baked Snacks coupon appears to have reset today! Meijer has these on sale for $1 each and part of a Buy 10, Get the 11th for free promo right now, so use this coupon to get some for free!Buy 2 Comb0s Baked Snacks 6.3 oz $1 each ($2) Use $2/2 Combos Baked Snacks coupon Final … [Read more...] about New Combos Bags Coupon Means Free Combos Snacks At Meijer! There is a great new $2/2 Combos Baked Snacks coupon available today! Meijer has these on sale for $1 each and part of a Buy 10, Get the 11th for free promo right now, so use this coupon to get some for free!Buy 2 Comb0s Baked Snacks 6.3 oz $1 each ($2) Use $2/2 Combos Baked Snacks … [Read more...] about New Combos Bags Coupon Means Free Combos Snacks At Meijer! New Dole Fruit Smoothie Coupon Means $1 Shakers At Walmart! There is a new $.50 Dole Fruit Smoothie Shakers coupon available today! Walmart sells these for $1.50 regular price, so here's how to get a great deal:Dole Fruit Smoothie Shakers $1.50 Use $.50 Dole Fruit Smoothie Shakers coupon Final Price: $1This deal is based on the everyday price at … [Read more...] about New Dole Fruit Smoothie Coupon Means $1 Shakers At Walmart! Right now Meijer is offering a $2.75 National Manufacturer CAT for purchasing four Ziploc items and ALSO a store CAT for $2 when you purchase three! Combine both CAT promos with coupons and an Ibotta rebate to score 40-count Ziploc Sandwich Bags for $.27 each through 9/12 at Meijer (in all markets!) 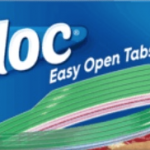 … [Read more...] about Ziploc Sandwich Bags Only $.27 Per Box At Meijer!